Ahhh….to walk away from the hustle and bustle of our busy and hectic jobs! How appropriate for Margaret Roach to include Mark Twain’s quote in her book. Many of us long to find a safe haven tucked away in the country, to experience nature at its best, and to slow the pace of our too often demanding lives. Countless people dream of doing just that but for one reason or another cannot turn this vision into a reality. There is that fear of losing the many securities associated with a job that stops so many of us. Margaret Roach decided to “leave the land of plenty” and her position as Executive Vice President, Editorial Director for Martha Stewart Living Omnimedia. She was able to turn her dream into a reality in 2007. She moved to her vacation home in Copake, New York and began in my opinion a whole new life for herself. Her book, And I Shall Have Some Peace There, describes how this transition evolved and eventually became an actuality for her. I found myself relating to some of her apprehensions and experiences – no I haven’t quit my job – but I am at the stage in my life where retirement is looming for me just over the horizon. The realization of my identity changing resonated with what Margaret conveyed early on in her book and later throughout her story. I found as she chronicled her experiences in her story I began to surmise this was going to be somewhat of an eye opener for me. In particular, this crucial sentence was of great essence to me: “Who am I if I am not mroach@marthastewart dot com any longer?” Wow! For me I thought, oh my gosh, that will be me soon! Margaret poses this question to herself but have you ever stopped to think of your own identity in relationship to your job? Such a mindboggling thought to think about! A career you’ve had for over 30+ years is a significant component of your identity. This question she asks in actuality was an “Ah ha” moment for me and it might be for you if you take a moment to ponder her query. Her understanding of nature, her love for gardening and her garden blog, A Way to Garden, are the things she prides herself with today. Her garden to her is likened to a mother caring for and nurturing a child. It is her passion. Margaret shares her encounters with the wildlife such as the many birds which frequent her yard, the frogs and especially the snakes – I check my front door mat before I step outdoors now too after reading her book! I loved reading about her growing relationship with her cat, Jack whom she affectionately calls: Jack, The Demon Cat. Living out in the country versus living in the city can be considered complete opposites. The quietness Margaret experienced in her home in the country brought back a memory to me. I can truly relate to this as I vividly remember the first night our family spent in our brand new home on December 14th, 1991. We had built a house out in the country on a wooded lot –after 70 trees were felled by my husband & his best friend who both secretly longed to be Paul Bunyan. What I’ll never forget about that night was the absence of city sounds and street lights. They were both replaced by animal sounds and the light of the moon. It was somewhat eerie to me. I now find comfort in the country “nightlife” like Margaret. As I read Margaret’s early encounters with her “quiet” nights, those same familiar thoughts were one in the same. Additionally I found out Margaret has a certain dislike for bad weather. Yep, I can relate to that too! Albeit snowstorms or severe storm warnings I have the Weather Channel on non-stop while I keep checking the NOAA site from my Blackberry! She describes one bad weather scenario as, “a storm of inconceivable proportion erupts.” She plans for “the battlefield of winter” with her handy checklist of EVERYTHING she might conceivably need to survive an impending winter like no other winter in the history of mankind. When a person lives out in the country being prepared is THE most important factor. Her description in her book of the anxiety she didn’t experience when thinking about the days of the week in her new life versus her former days of employment made me take notice. Another pleasant experience she shared was when her head hit the pillow at night she said “sleep is not the enemy” in her new world now. How I love this thought! Granted I don’t want to wish my life away but it will be nice to trade in a few bits and pieces from my working days at the onset of my retirement for some of those items she has shared in, And I Shall Have Some Peace There. What made Margaret Roach: mroach@marthastewart dot com– leave her career in search of peace? Read for yourself this true story to discover what she found along the way on her quest for serenity, solitude and randomness.You might discover how to acquire a bit of inner peace for yourself along the way – I did! This post wouldn’t be complete without a very special thank you to an extraordinary book friend, Danica Kombol for sending me Margaret’s book. Words cannot express my gratitude to you for your continuing thoughtfulness and generosity! I’m proud to be able to share my review of Rebecca’s debut novel you! It’s a coming of age story about family, relationships, secrets, and the realization that when you trust someone you love, you might be disappointed: “…a secret she would have to keep forever: you can’t count on me.” (The Bird Sisters, Rasmussen) Tucked away in the heart of the Midwest in the small town of Spring Green, Wisconsin, live two spinster sisters, Milly and Twiss, who have spent a life time growing old together in their childhood home. This is their story and reflections on how their lives evolved and what might have been. The story moves along effortlessly connecting the present day to the past and the astounding string of events that changed their family’s lives forever. Throughout the book Milly and Twiss think back on their youth and their parents’ troubled irreparable marriage which is emblazoned in their minds. 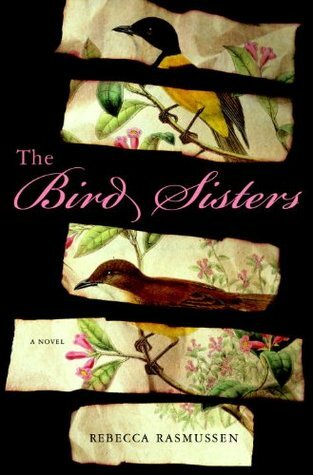 While reading, The Bird Sisters, the narrative element of foreshadowing led me to anticipate something heartbreaking and foreboding would transpire later in the book. There is a great deal more to impart on you — but I cannot spoil the book for you! I will leave you with this hook, Twiss tries to alter the outcome of her parents’ relationship or so she thinks by passing along a note to her mother from her father. For those of you who love fantasy series this will be a book to place on your reading list! Heroine, Tessa Gray, journeys to England in search of her brother Nate but is kidnapped by a group of warlocks, the Dark Sisters. She soon discovers another world beneath Victorian London and what the Dark Sisters have in store for her. Clare has just the right balance in this coming of age story full of stratagem, the unexplained, and clashes between good vs. evil. You will easily get drawn into the tale. If you enjoy a story full of twists and turns and most importantly – romance -you’ll enjoy reading the first book in this trilogy! King’s newest book is a collection of short stories and has been compared to one of his previous book of novellas, Different Seasons. If you are a fan of Stephen King you will thoroughly NOT be disappointed! My favorite story was, 1922: “My name is Wilfred Leland James, and this is my confession. In June of 1922 I murdered my wife, Arlette Christina Winters James, and hid her body by dumping it down an old well.” Enough said!! Are you a fan of the Broadway musical Chicago AND intrigued by Chicago history?! I most definitely am! When I first happened upon this book; I knew I had to read it! I love to research and investigate the “true story behind the story.” This book examines the account of the real killers, “Stylish Belva” Gaertner and “Beautiful Beulah” Annan, who shot their lovers in cold blood. Chicago Tribune “girl reporter,” Maurine Watkins brought this story to the forefront for readers first as news story and eventually as a play based on these true life accounts. This play later was immortalized on the stage and the screen as CHICAGO. Fascinatingly enough it illustrates how the media coverage helped to sensationalize the crimes committed by Belva and Annan. Also interwoven into the book is another “pair of killers,” the infamous, Leopold & Loeb! This will be one of my book club’s summer selections. An amazing historical thriller set in 1680 Germany!! Is it witchcraft that is killing young children or is there a serial killer on the loose??!! Helping with the investigation as further children go missing, is hangman, Jacob Kuisl. With the help of his daughter, Magdalena and a local young man they try to unravel the mystery of the murders?? Will they be able to stop the evil that is lurking in their small village of Shongau?! Living together on a farm in upstate New York are the three Proctor brothers, Vernon, Audie, and Creed. At the onset of the story, Vernon is found dead in his bed. As the police are called to investigate questions begin to arise. Was it murder? If so, did one of the other brothers kill him and why?? The family saga spans many years and is told from various points of view. You’ll discover bleak and sad circumstances surrounding the characters in this tale which is loosely based on the true life story of the Ward Brothers which was made into a documentary, ‘Brother’s Keeper” in the 1992. A well written memorable book! I found this to be an absolutely fascinating book to read! I’ve told more people to read this book! Author Deborah Blum has written a flawless and well-researched account of actual crimes which took place in New York during the 1920’s. Each chapter is devoted to a particular poison, the deaths related to them, and the research done by Chief Medical Examiner, Charles Norris. He and his department, along with Thomas Gonzales explored, made inquiries, and eventually aided in solving many of these cases finding the killer to these crimes. Both Norris and Gonzales were forensic pioneers. What I found most intriguing was that at the beginning of Prohibition the numbers of deaths related to alcohol were fairly low in comparison to what the death toll was by the end of Prohibition. Amazing! This utterly intriguing work of non-fiction will capture the attention of fans of today’s television shows such as CSI and Criminal Minds. I loved this historical fiction book told in two voices from two different time periods! It vacillates from the present day as Meg Owen tells her story to the nineteenth century where we learn about a young woman Catherine Dall. Catherine lives on the plantation of Eden. After the untimely death of her parents, Meg learns she has inherited the plantation of Eden on the island of Nevis in the Caribbean. Meg sets off for the island of Nevis in search of some family secrets. She soon discovers the island is haunted and some sort of tragedy occurred many years ago. Both women deal with their fathers’ respective weaknesses. Meg soon finds out her father had been swindling his clients prior to his death. Catherine runs the family plantation due to the fact her drunken father cannot. Catherine struggles with slavery issue and the wicked overseer of the plantation. What is the connection between Meg and Catherine? What mysteries surround Eden and are there really ghosts roaming the island?! This book already is on hold in the Media Center for several patrons! Yeah! When you finally read the last page of Unbroken, the name, Louis Zamperini, the ordeals and obstacles he encountered during WWII will be emblazoned in your memory forever. I cannot begin to tell you enough about his story – you must read it and experience for yourself! Louis Zamperini was an extraordinary athlete during the 1936 Berlin Olympics who consequently shook the hand of Adolf Hitler. Later, Zamperini would find himself protecting our country against the enemy nations during WWII only to experience the horror and awfulness of war as a POW. The atrocities he suffered at the hands of his captors were unimaginable and a living nightmare for him. Hillenbrand also wrote the bestselling book, Seabiscuit. I highly recommend that you read Louis Zamperini’s story!! For those of you who love clothes, especially vintage clothing you will be in for a treat with this story! Thirty-something Phoebe Swift quits her very comfortable job to open a vintage clothing shop which was a life-long dream for Phoebe. There are many central characters revolving around Phoebe that feature and encompass the major concepts of relationships, friendships and love throughout the story. Interestingly enough you’ll notice a very important character in the book are the clothes themselves. It was remarkable and noteworthy to watch how each person was affectionately drawn to the particular clothing in the shop and the effect it had on them. Simply put, this is a delightful read! Last spring I had a chance to go back to Toulon, Illinois where our family lived until I was 10 years old. My father, Fred Vicini, had been a teacher at what was then, Toulon High School. Today it is known as Stark County High School. We were there to celebrate a very special birthday for long time family friend, Mary Hampton, as well as spend time with another special family friend, James (Jimmy) Nowlan. Prior to the party there was one very extraordinary place I had to go back and visit which was the Toulon Public Library. Are you surprised?! Unfortunately it was a Sunday so I was unable to venture inside. I remember as a child spending a great deal of time going through their collection of books. When I was old enough to ride my bike there I would spend stretches of time inside this very special building. I would check out the maximum amount of books, put them in my satchel, and hurry home to read! I’m not quite sure of the name of the librarian – too many years have gone by – but I think it was Ms. Ella Silliman. Even though the name might not be correct, she made a lasting impression on me because she never rushed me out of the library. 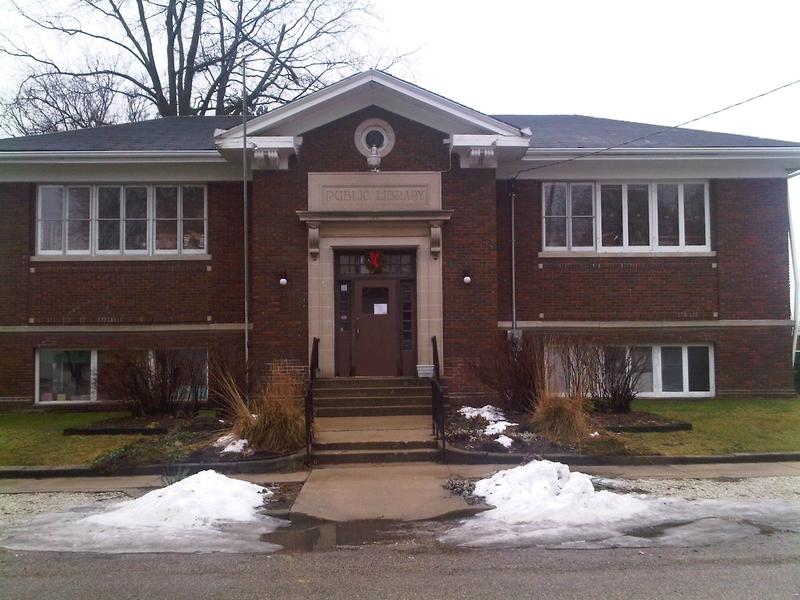 Here’s a picture of the Toulon Public Library. When my Mother, sister, brother, & I stopped by the old library, childhood memories came flooding back to me! Most importantly what immediately came to my mind was a collection of books I would continually check out. It was an old series of biographies which had orange covers and was called, Childhood of Famous Americans. 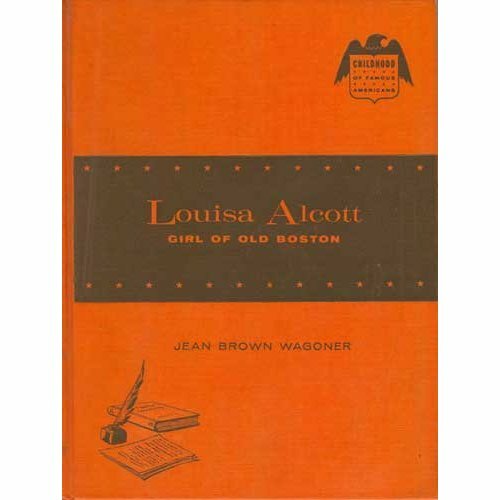 I was particularly fond of the book, Louisa Alcott: Girl of Old Boston by Jean Brown Wagoner. For some reason I was enamored with her life story which would eventually lead me to read many of her books, such as Little Women. After so many years I finally obtained a copy of Louisa Alcott: Girl of Old Boston! It is fondly displayed on our desk in our reading room. I love that I have a bit of my childhood out on display to share with my family and friends. Just a simple old book generates so many special memories for me. I’d like to pose some questions to you since its National Library Week this week. Do you remember your childhood librarian and public library? What is that one book for you that will elicit a warmhearted remembrance from your own youth? Tucked away in the heart of the Midwest in the small town of Spring Green, Wisconsin, live two spinster sisters, Milly and Twiss, who have spent a life time growing old together in their childhood home. This is their story and reflections on how their lives evolved and what might have been. They pass their time caring for wounded birds and reminiscing about their youth. They have committed to memory specifically the summer of 1947 when a defining moment turned their world upside down which in all probability led them to lead their lives as spinsters. The story moves along effortlessly connecting the present day to the past and the astounding string of events that changed their family’s lives forever. Throughout the book Milly and Twiss think back on their youth and their parents’ troubled irreparable marriage which is emblazoned in their minds. Their father was the pride of the local country club until an unfortunate car accident changed him from a wonderful golf pro to a mediocre one. Due to his fall from grace at the country club he began an irreversible spiral. I was extremely fond of both Milly and Twiss. They were sisters who were devoted to each other. They were like birds that flock and travel together to reach a safe haven. Milly and Twiss protected one another throughout the story. Twiss counted and depended on Milly because she was the older sister. Twiss was a plucky zealous young girl who always questioned everything. Milly was a hopeless romantic who believed in love. What she wanted most from life was to fall in love, marry, and have a family. These aspirations would give her life complete fulfillment and it was within her grasp. There was somewhat of a division between Milly and Twiss when it came to their mother. Their fondness and affection for her was somewhat split. There was, to some extent, a rift between Twiss and her mother in comparison to Milly’s relationship with her mother. When it came to their father though, Twiss was completely devoted and enamored with him. She held her father up on a pedestal. While reading, The Bird Sisters, the narrative element of foreshadowing led me to anticipate something heartbreaking and foreboding would transpire later in the book. This key facet kept me on track to uncover what lay ahead for the central characters. I had to discover the secret that I knew was looming ahead as I neared the conclusion! Rasmussen gives hints to the reader throughout the story but I must say I was quite surprised by what eventually transpired! The aftermath of the events which follow changes the course of their lives — not only for Twiss, Milly, and their parents, but also for their cousin Bett. The summer of 1947 that changed and astounded their world came during Cousin Bett’s summer visit to their home. The entire family embraced Bett especially Twiss. To her she was a hero of sorts because Bett was fearless and Twiss was a young impressionable girl who looked up to her. Milly was Bett’s rival of sorts and their Mother cared for Bett like a daughter. By the time Bett came for the summer Milly and Twiss’ father was going through his own turmoil and separating himself somewhat from his family. There is a great deal more to impart on you — but I cannot spoil the book for you! I will leave you with this hook, Twiss tries to alter the outcome of her parents’ relationship or so she thinks by passing along a note to her mother from her father. “Twiss had stopped worrying about the secret ingredient for her tonic and started to think about what might come of her note, her mother’s wiggling toes, the belief in love.” (The Bird Sisters, Rasmussen) Maybe Twiss was just as much a hopeless romantic as her sister was…..
Congratulations Rebecca on your highly regarded and much anticipated debut novel! Thank you for writing such a quality story that is so rich and genuine. I can honestly say it is truly a literary work of art. Look for The Bird Sisters beginning Tuesday, April 12th 2011! We have been trying to coax the warm weather to the Midwest but Mother Nature is being pretty fickle these days! I’m hoping by posting my list of Spring Reads she’ll decide to fetch some of the warmer Southern temperatures and shift it up here. I know Spring arrived last week but I thought I’d announce my newest reading list in conjunction with the Chicago Cubs‘ Home Opener which is today! 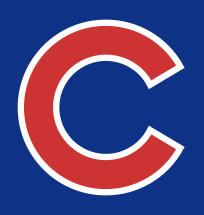 As many of you know I bleed Cubbie Blue and I’m ready to continue my undying love and devotion for my Chicago Cubs. If you haven’t had a chance to see my March WGNTV/Cubs’ Favorite Memory commercial promoting the upcoming 2011 Cubs’ season here’s your chance!! I’m dedicating this post to two of my favorite Cubs’ fans who will be watching the Cubs from above – hopefully together- my Dad, Fred Vicini Jr. and Number 10, Ron Santo. Looking at my extensive list below, you can see I’ve been diligently reading numerous book reviews over the last several months. Some of these books will have their own special separate reviews in my upcoming posts. I love to hear from you as to which ones you’ve decided to add to your reading lists. I always enjoy reading and responding to your comments.